" It is an excellent machine and reasonably easy to setup and program "
" Excellent machine. It's half the size of my previous one, and so quiet I don't hear it at all. " The ComfortPAP Auto is packed with features. It is one of the lightest APAPs on the market. 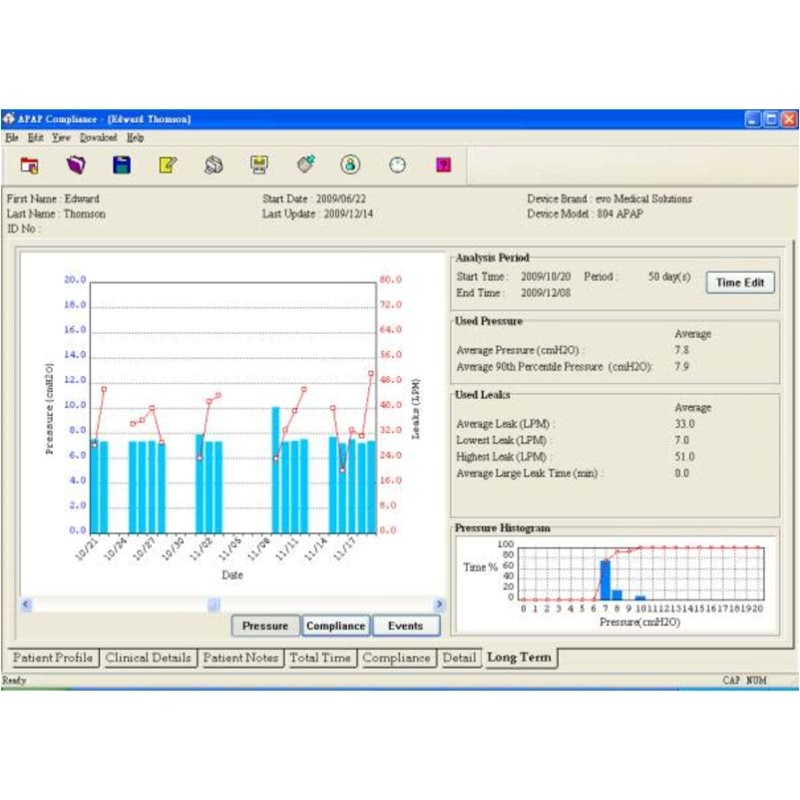 Best of all, the ComfortPAP comes with therapy management software and is backed by a two year manufacturer's warranty. 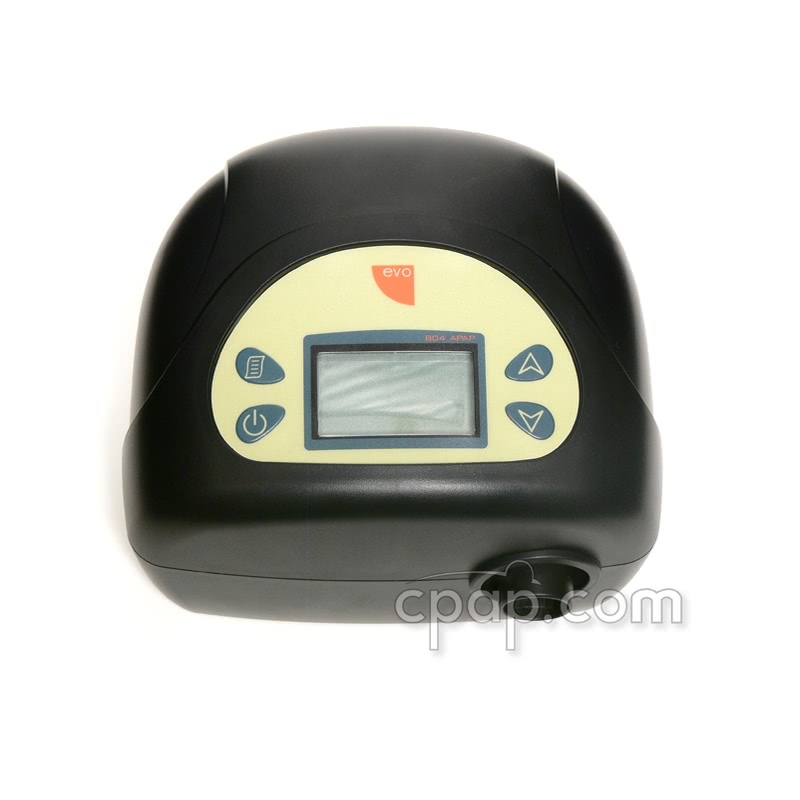 You can plan on this machine lasting as long as any other CPAP on the market. 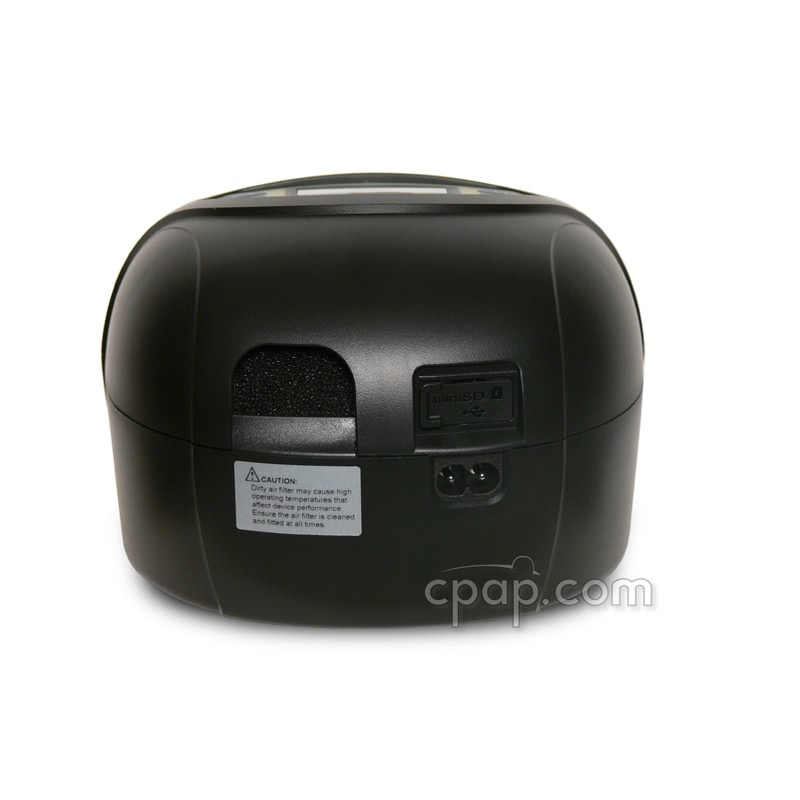 EVO Medical introduces the ComfortPAP Auto CPAP Machine, a complete sleep therapy solution that comes with advanced software. 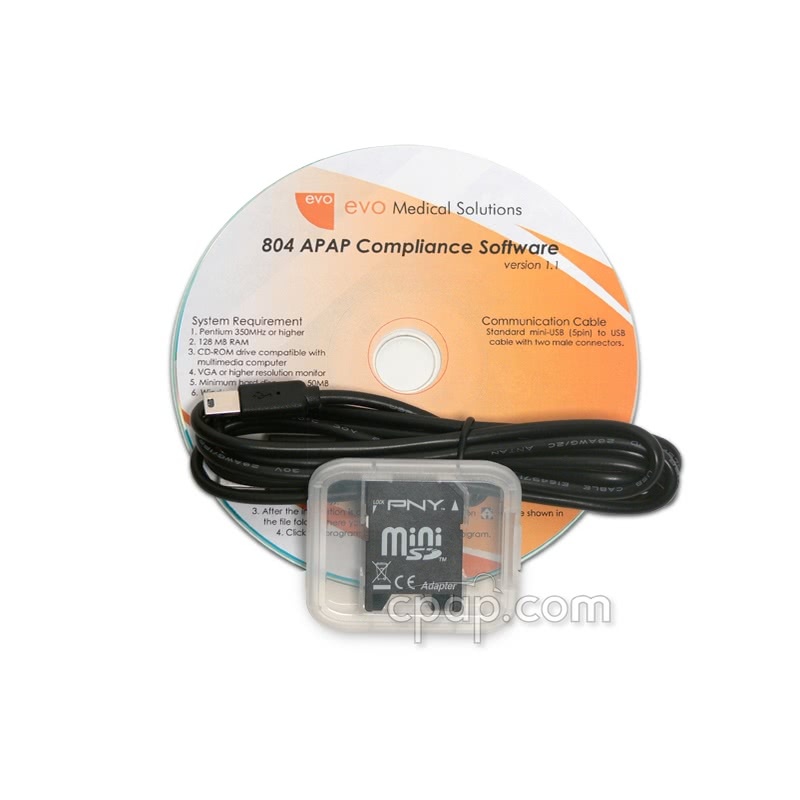 The ComfortPAP has many features found in all the top brand manufacturers. 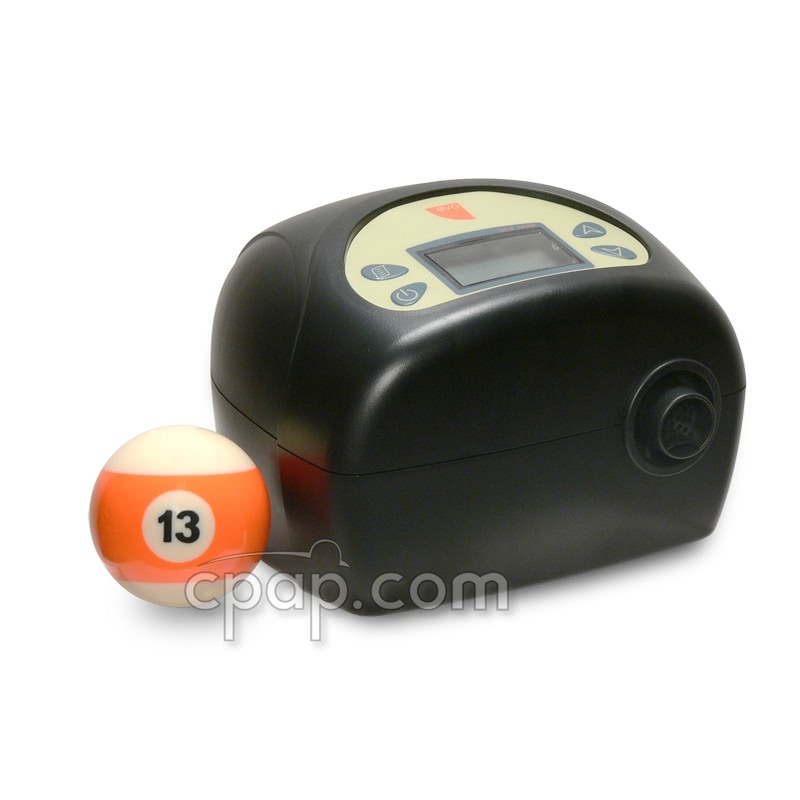 This machine is packed with an auto algorithm, (optional) heated humidifier, and a digital clock with audible alarm. 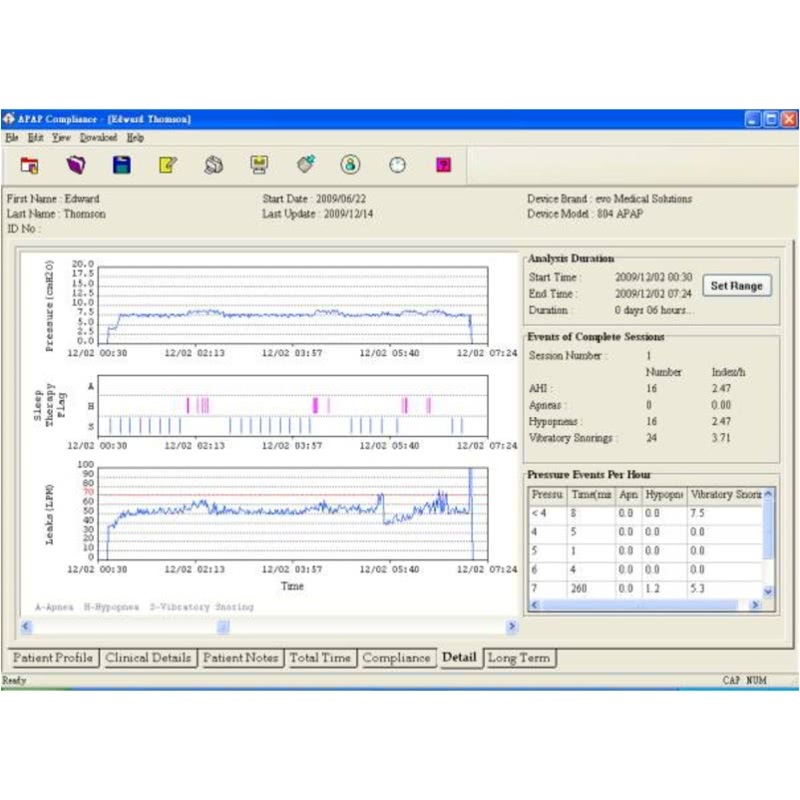 The ComfortPAP monitors the user's breathing performance through a set of pressure sensors inside the machine. The sensors measure flow limitations such as snoring and apneas on a breath-by-breath basis. Therapy begins at a set minimum pressure. If the ramp feature is turned on, pressure starts at an initial setting and slowly increases to the minimum therapy pressure and continues until a sleeping event occurs. When the user's airflow show signs of limitation, the algorithm gently increases up to the the maximum set pressure or until the event ends. Once the event clears, pressures gradually decrease to the minimum set pressure. For example, as you sleep on your side, pressures will stay at a minimum because your airway is open. Turning on your back can collapse the airway and the ComfortPAP will increase up to the maximum pressure or until conditions change. The algorithm also recognizes other conditions like sinus colds or allergies, which restrict nasal airflow. 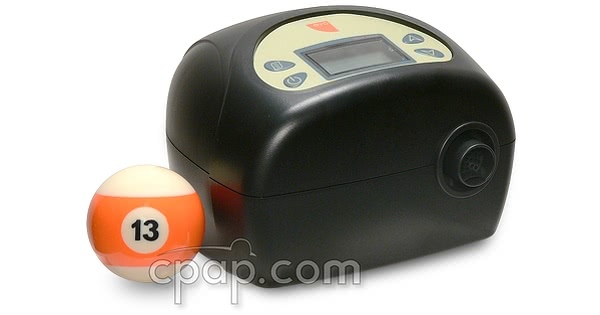 The ComfortPAP will increase treatment pressure accordingly, for whatever event may occur. Take advantage of the ComfortPAP's integrated heated humidifier that provides six levels of moisture along with your therapy. The heater plate warms the water up to 158 degrees Fahrenheit and has an indicator light that turns from green to orange in the event that the system overheats. If this occurs, the heater plate will turn off until the system cools to the proper temperature and heating then resumes. 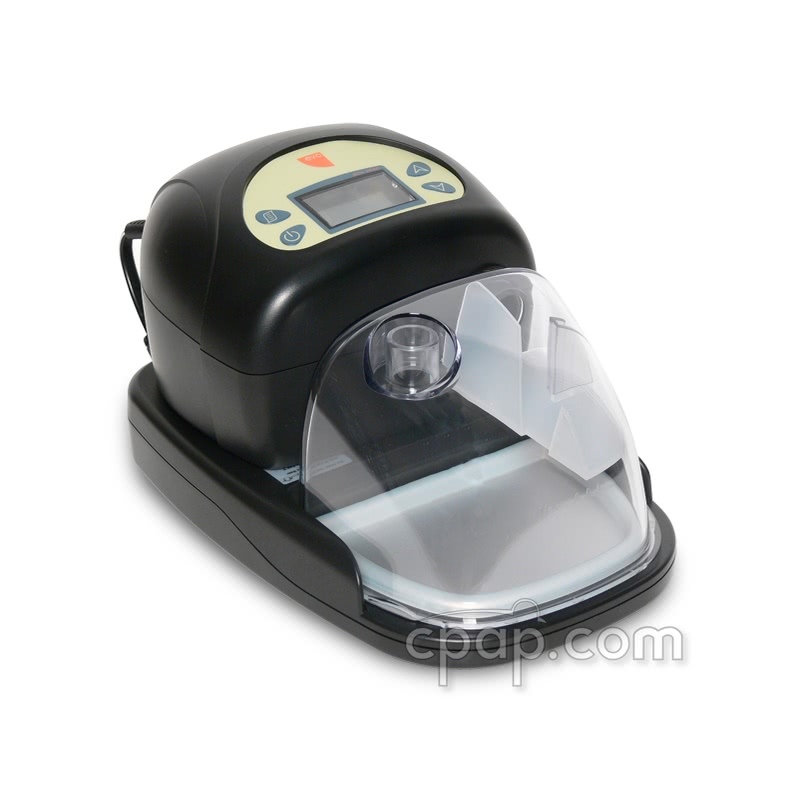 To make maintenance easy, the ComfortPAP water chamber disassembles for easy cleaning. Use the extraction tool, found on top of the humidifier base, to remove the chamber base. Slide the edge of the tool into the indention on the remark of the water chamber. Once the base is off, the internal baffle can also be removed for cleaning. The baffle prevents water from spilling due to shaking or similar movement. 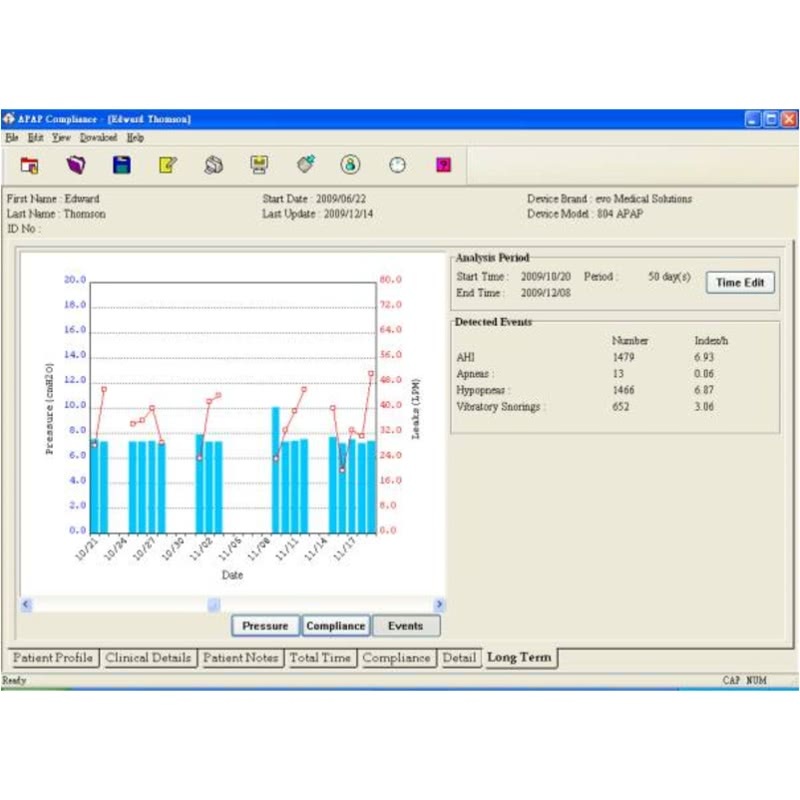 The Total Time Tab displays a general overview of the device operating records for each day. The Usage Profile Range (right panel) displays the time of day during which the device is running. A 24-hour period is shown as a horizontal bar, and starts at 12pm (noon) in order to capture one night on a continuous single line (since the devices is typically used at night). 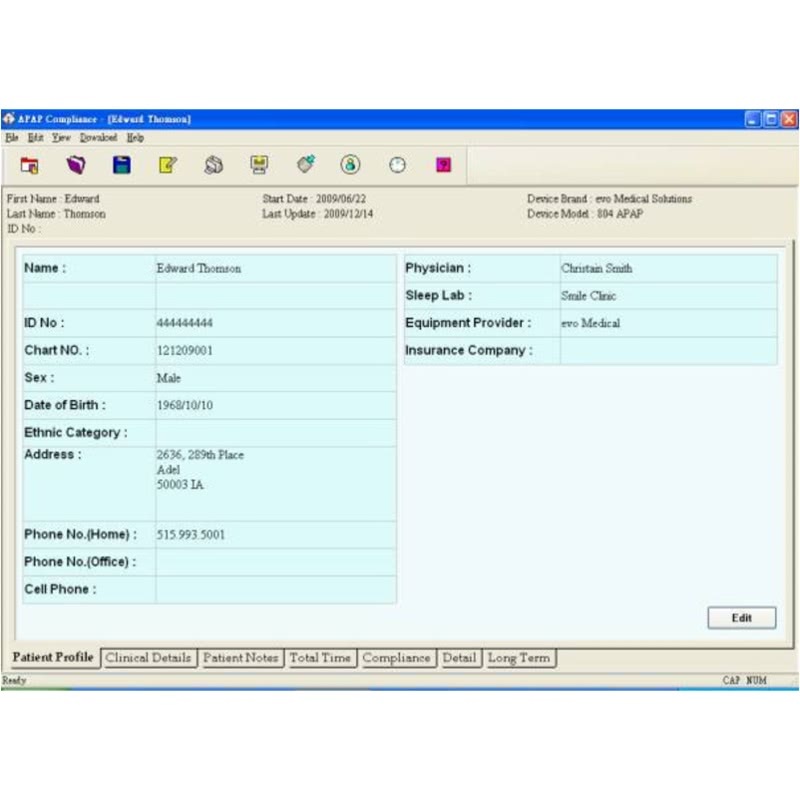 The summary report displays patient and clinical details, patient notes, compliance times and efficacy statistics Compliance Times are an overview of the compliance records for each day. The Compliance Usage Profile Range displays the times during the day where the patient is receiving treatment. A 24-hour period is shown as a horizontal bar and begins at 12pm in order to capture one night on a continuous single line. The Daily Details Tab shows the latest 72-hour usage data including pressure, detected events and leak rate. 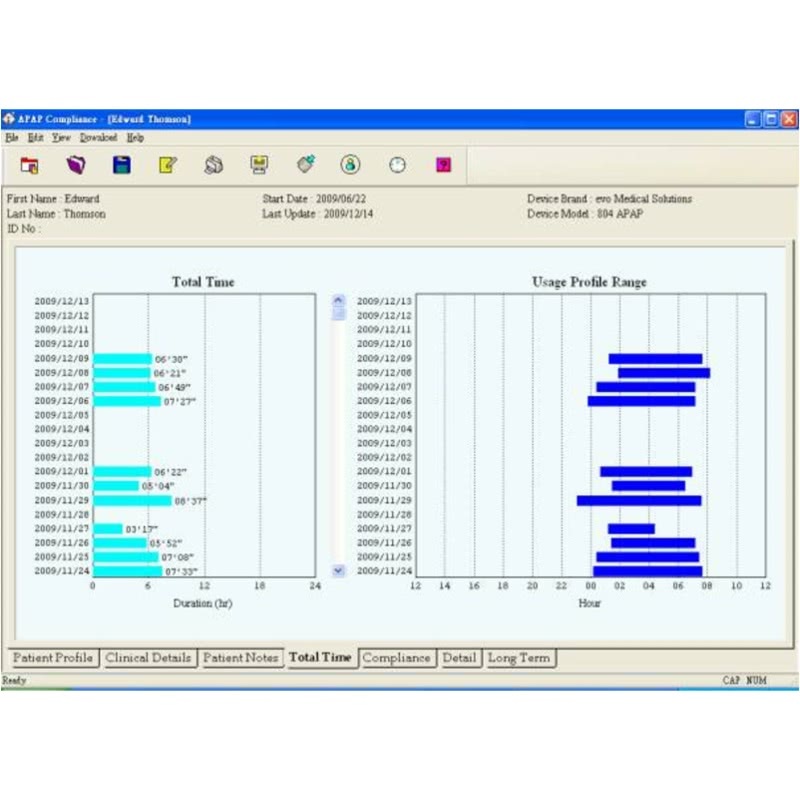 Compliance time measures the duration in which the device is delivering airflow AND the patient is wearing the mask. Total days: total number of days in the configurable range. Days/Period: percentage of days with device usage and without device usage. Total Compliance: accumulated compliance time (in hours and minutes). Average Compliance: average daily compliance time per day. Altitude Compensation Manual - maximum height 8000 feet. 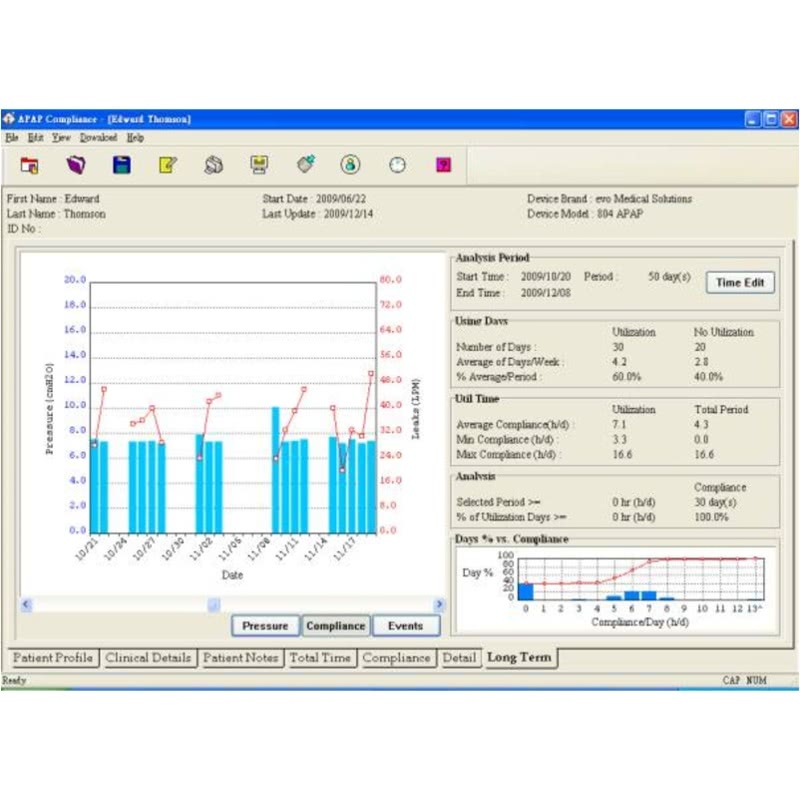 The ramp time, ramp start pressure and therapy(single) pressure are only available in CPAP mode. These functions are not available when set to APAP mode. Also, even though the ramp feature on the ComfortPAP can be set to (0) zero, the machine will still take approximately 2 minutes to reach your full therapy pressure. 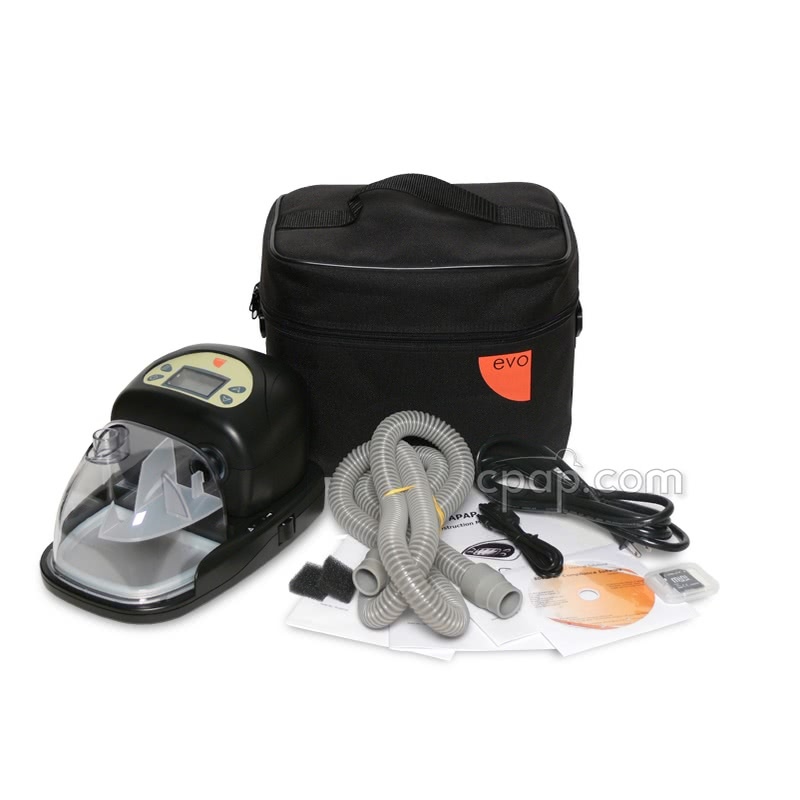 The user manual included with this machine can be viewed and downloaded here: ComfortPAP 804 CPAP Machine.